The solution y(t, t 0, y 0) of an initial-value problem (IVP) y(t) = f(t, y, p) with initial value y(t 0) = y 0 at a point t is a differentiable function of the initial value y 0 and the parameter vector p, provided f y and f p are continuous. 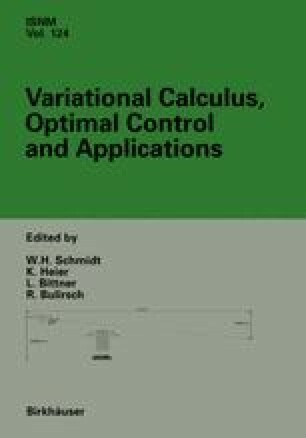 The computation of the derivatives of y(t, t 0, y 0) plays an important role in the efficient numerical solution of optimal-control problems and in parameter identification. Different implementations of numerical algorithms for the computation of ∂y(t)/∂y 0 already exist, but the techniques are often adapted to the special implementations and cannot easily be transferred to other integration methods. Here we chose a new approach that allows understanding of most of the existing implementations and may serve as theoretical basis of many more. The basic idea is to regard the numerical approximation of ∂y(t)/∂y 0 as the solution of the variational differential equation of a linearised linear IVP with approximation of the linear right-hand side by the difference quotient of the original non-linear f.
This approach shows how integration codes can in general be extended so that the simultaneous and accurate computation of the sensitivity matrix is possible.